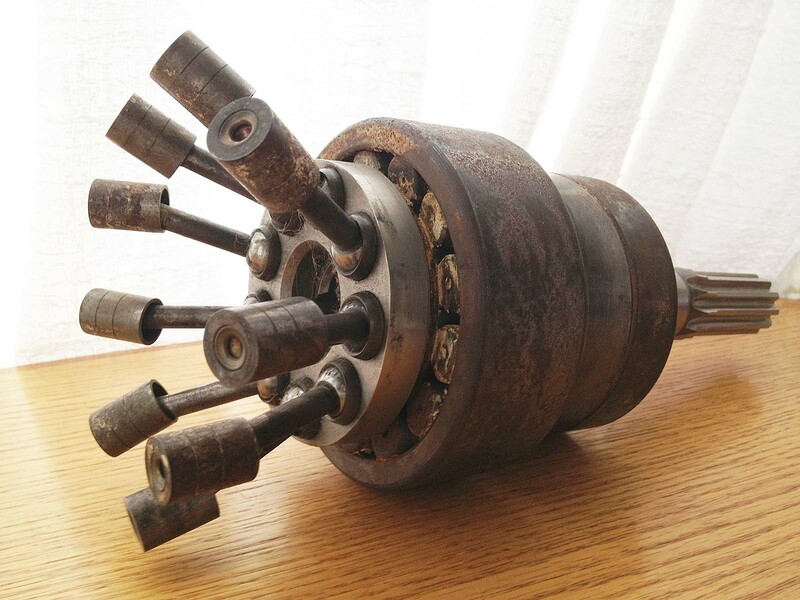 Sold for scrapping, 30 December 1976 by the Defense Reutilization and Marketing Service to W. Dean Kirkpatrick, DDS, San Francisco, CA, for $40,250. Dean and his wife Vicky and later I (Dan Keller) and my wife Anneli lived aboard for several years. We were moored in various locations including Pier 4 at the western end of the Bay Bridge in San Francisco, the Oakland Estuary below Alameda's Park Street Bridge, and a Richmond shipyard. 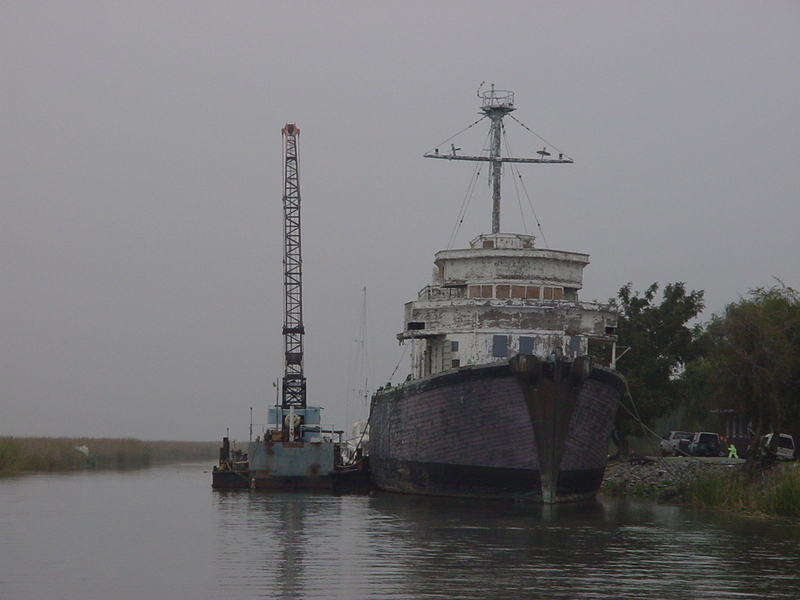 This ended in late 1986 when Dean, tired of hemorrhaging maintenance money, gave up the ship to someone who towed her up to Bradford Island in the Sacramento Delta, ostensibly intending to convert her to a bed-and-breakfast. This never happened. She sat there for years. She was clearly visible in satellite imagery (note to self: add link to image). While there, she was tragically vandalized. In 2014 (I think) the Stockton Historical Maritime Museum recovered Lucid and is restoring her as a great collaborative effort with an At-Risk School and the San Joaquin County Office of Education. Rex Ramsey, Director. Gary Howells, Curator. Propulsion, four Packard ID1700 diesel engines, replaced by four Waukasha Motors Co. diesels, two shafts, two controllable pitch propellers. 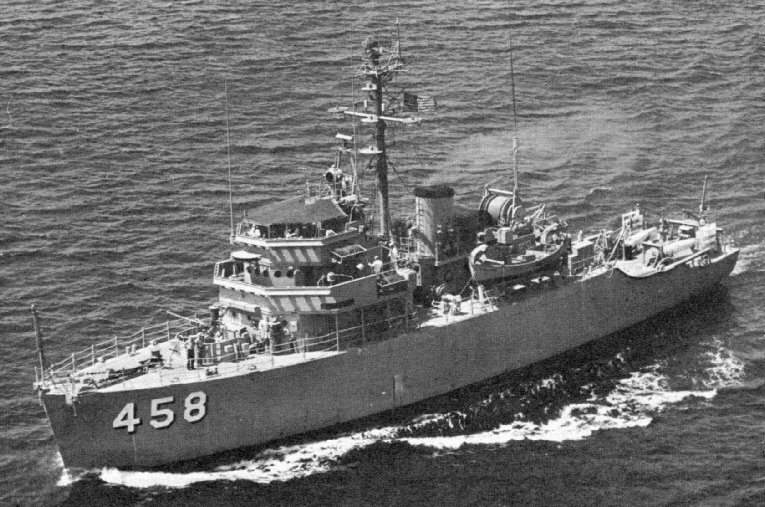 "...the U.S. Navy's Ocean-Going Minesweepers (MSO) were built of mahogany and teak to reduce magnetic fields, and most of the metal work was non-ferrous, e.g. aluminum, bronze, brass, etc. 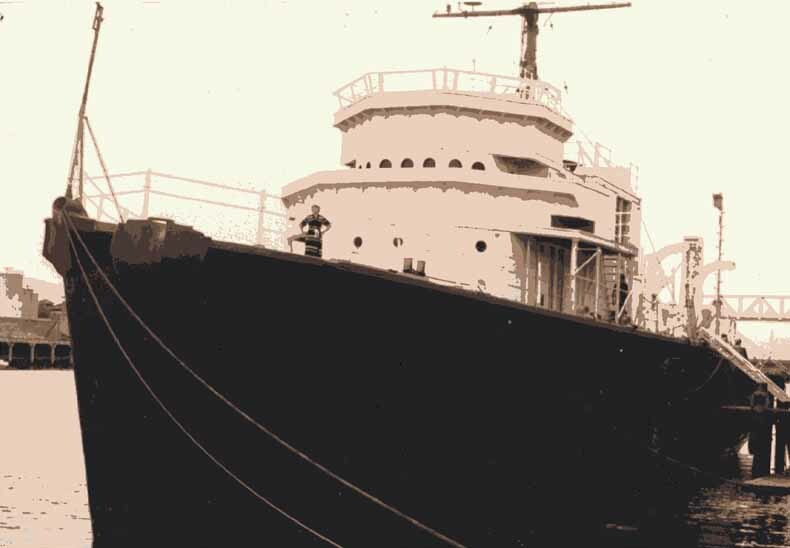 Compared to today's Navy of nuclear powered steam and gas turbine, and while larger vessels were then mostly powered by oil-fired steam, the 173-foot length MSOs were powered by diesel engines, ...four cranky Packards, driving a single, variable pitch screw (propeller). [There was] only one radar to worry about, with one AN/SPS-5C indicator in CIC, and one AN/SPA-4 repeater on the bridge." 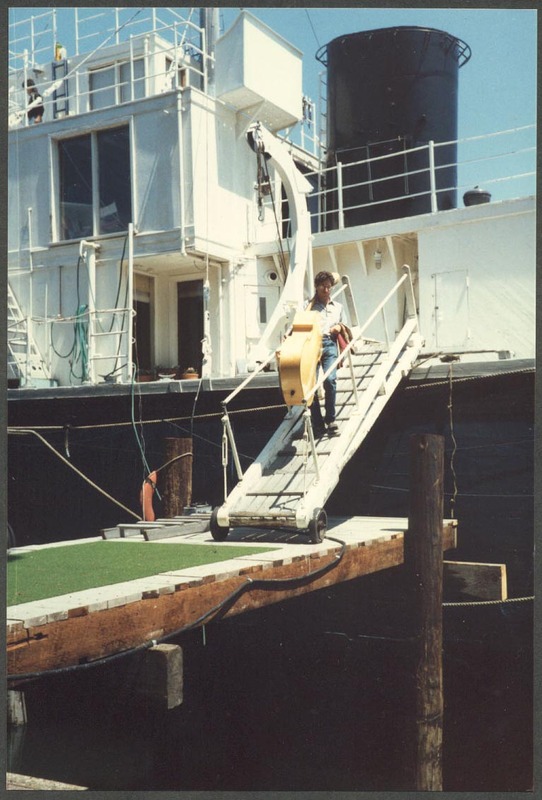 A photo album -- Dan and Anneli's home 1985-1986 duringbwhich time she was docked in San Francisco, Alameda, and Richmond, California, and was the site of several spectacular parties. 2007 Photos of Laura B. 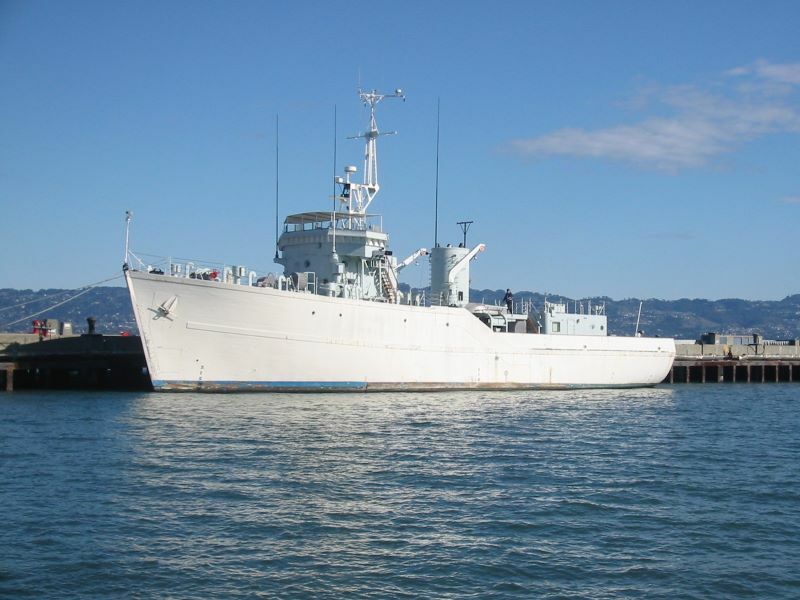 's HMCS Chaleur, a Canadian sister of USS Lucid, also docked in the San Francisco Bay, at Treasure Island until recently. Her owner, Laura, is a friend of my friend Michael and kindly invited me aboard. 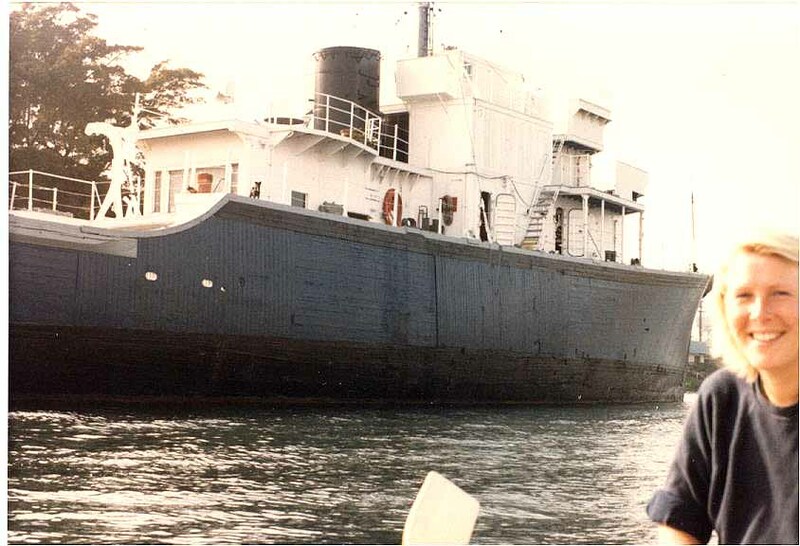 Michael served as electrician on the crew that sailed her here. Laura struck a deal with Treasure Island's local government to be the island's backup power supply in case of disaster. Minesweepers have huge generators to power their mine-detonating drag-line. Thus, they permitted her to berth in a spectacular location, on the east side of the Island, just north of the Bay Bridge. I used to check her out every time I crossed. After several years, Laura tired of the endless maintenance and expense ($5000 just to refuel!) and sold her. I was unable to find out who the buyer was. 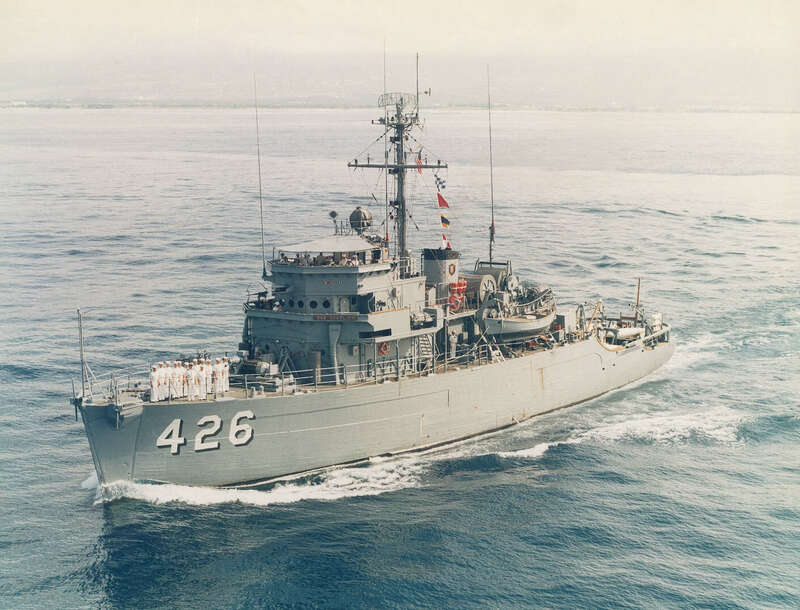 Another privately-owned minesweeper was USS YMS-328, famously purchased and converted by actor John Wayne. 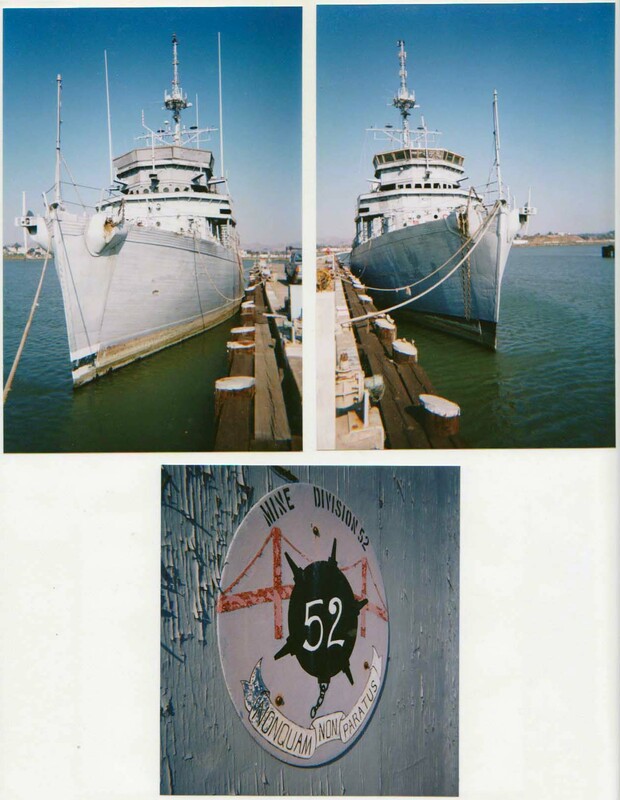 1999 photos of a couple of Lucid's sisters being dismantled at Mare Island. ...and in 2013 -- new life?